Any real estate veteran will tell you the key to a successful career is to treat your work as a business, and businesses need to ensure their books are in order at all times. 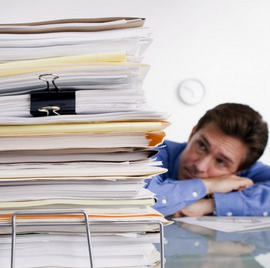 For sales reps, bookkeeping is particularly tricky. Jim Walker, a chartered professional accountant, offers solutions to the top five bookkeeping mistakes that many real estate professionals make. Some agents use their personal bank account for both personal and business transactions. Mixing personal and business transactions can be very confusing when it comes to determining your business expenses and filing income tax returns. Solution: Open a separate real estate business bank account. Some sales reps use their personal credit to finance their business. Financing a real estate proprietorship can be difficult, especially if you are new to the business. Mixing personal and business transactions is especially confusing when it comes to determining your business expenses and filing income tax returns. Solution: If you must use personal credit for your real estate business, then use one specific credit card for all your business transactions. Do not put any personal expenses on this business expense credit card. Your real estate business will be out of your control if your bank and credit accounts are not reconciled monthly. Banks and credit companies only allow a short time to make corrections to errors in your account. You will not be able to determine accurate monthly accounting of your success or failure without accurate accounting. Your income tax and HST tax returns will not be accurate. And, last but not least, you may not recognize the fact you are a victim of fraud. You are in the real estate business and must keep receipts for every transaction, both sales revenue and business expenses, for income tax and HST purposes so you pay the least amount of tax. Keeping receipts for everything is one of the most important activities you can do for your real estate business. Cash transactions are not good in your business. However, if you must pay for something business-related in cash, obtain a receipt. You require a detailed and fully documented record of all revenue and all expenses. Many agents try to do their bookkeeping themselves, but most people don’t like administration or bookkeeping. Most people already have enough to do with family life or their own careers to understand accounting, what they should be doing, and how to do it. Real estate agents are sales-, product- and service-oriented people, not bookkeepers or accountants. Spouses or family members of agents may not be any better. They may not necessarily know the real estate business, and they are not always accountants or bookkeepers. Untrained bookkeepers will likely make errors and omissions. Your accounting results in your real estate business reporting will be out of control leading to possible business failure whether there are a few errors, or many errors. Solution: Find, hire and use a chartered professional accountant, and save your tax money. A blog cannot deal with all aspects of a subject and is not intended to replace professional advice. Its purpose is to highlight information and identify areas of possible interest. Anyone wishing to discuss this blog or to make any comments or suggestions about this blog is invited to contact our office.